Happy Thanksgiving! Are you taking a break from the holiday cooking? Or, are you relaxing on this busy holiday? 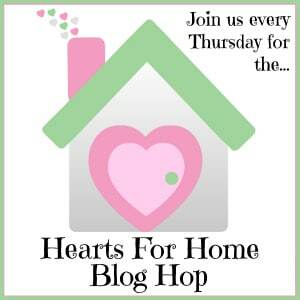 Either way, I’m so very happy that you stopped by the Hearts for Home Blog Hop. Last week’s most clicked post was Why I Don’t Want to Become an Usborne Consultant over at Children Are a Blessing. This week, I’ve chosen to feature some great parenting posts that were linked up last week. If you are featured here, be sure to grab the button below and share it on your blog. It’s time for the Hearts for Home Link Up! Please link up your family friendly posts below!